You don’t need to look up Shake Shack’s current share price to know that restaurants across the country are getting into the fast casual game. And it’s not just the founders of quick-service salad shops and burger joints making waves. Increasingly, chefs with fine-dining backgrounds are looking to expand into this arena. Still, you need more than a sandwich concept and investor buy-in to compete with the likes of Shake Shack and Sweetgreen. We spoke to the people behind three high-end restaurants in New York that have opened new, upscale counter service restaurants: Made Nice, VHH Foods, and Daily Provisions, all of which happen to be #poweredbybento. Here’s what they had to say about the rise of ‘fine casual,’ and their secrets to success. Since 2008, the 40-seat Vinegar Hill House in Brooklyn has been a quintessential and beloved neighborhood restaurant, but for chef and owner Jean Adamson, rising rent, labor, and food costs have turned restaurants like hers into a “a dying breed.” Customers are increasingly focused on instant delivery and eating on their terms, without the time and money commitment of a formal restaurant. As Adamson sees it, the restaurant market is shifting toward two extremes: exclusive high-end, fine-dining destinations, and volume businesses focused on casual food and quick service. Guests order at the counter at VHH Foods. Photo by The Ingalls Photography. So Adamson and her team launched VHH Foods, an all-day counter service cafe with everything from coffee to avocado toast to wine by the glass to take-out meals. The approach allows the team to focus on restaurant-quality food without the full restaurant setup or labor costs. Where a small to mid-size restaurant could seat, at most, a few hundred covers a night, all-day fast casual restaurants can achieve those figures by the end of the morning coffee rush, then again at lunch, and later at dinner. 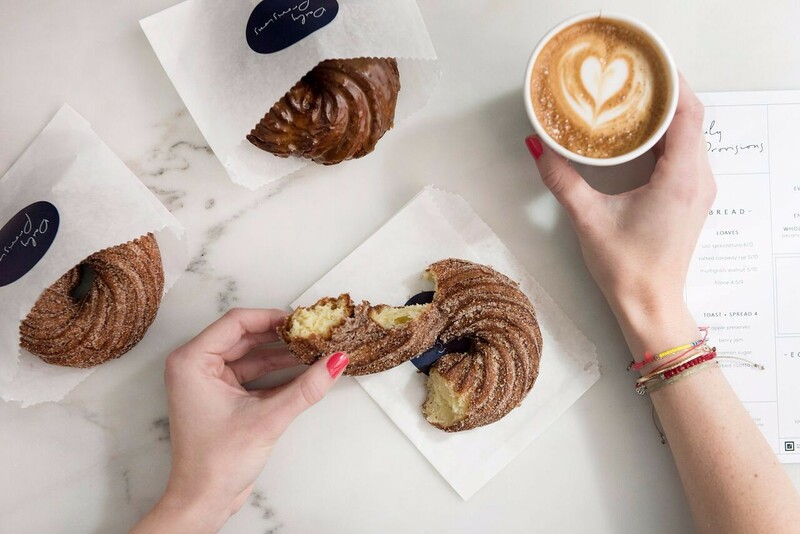 Customers are increasingly focused on instant delivery and eating on their terms, without the time and money commitment of a formal restaurant. Today’s diners may be willing to give up table service and restaurant trappings, but not quality food. “Guests have told us they may not have the time or money for fine dining,” says Daily Provisions assistant general manager Max Rockoff, “but they still want to eat well.” Daily Provisions is Union Square Hospitality’s all-day cafe, and like VHH Foods, it’s designed to serve multiple needs, including breakfast, quick but high-quality lunches for office workers, and take-out dinners. Chicken Frites at Made Nice. Photo by Evan Sung. “Diners are smarter and more demanding than they used to be,” says Aaron Ginsberg, director of strategic development for Make It Nice group. 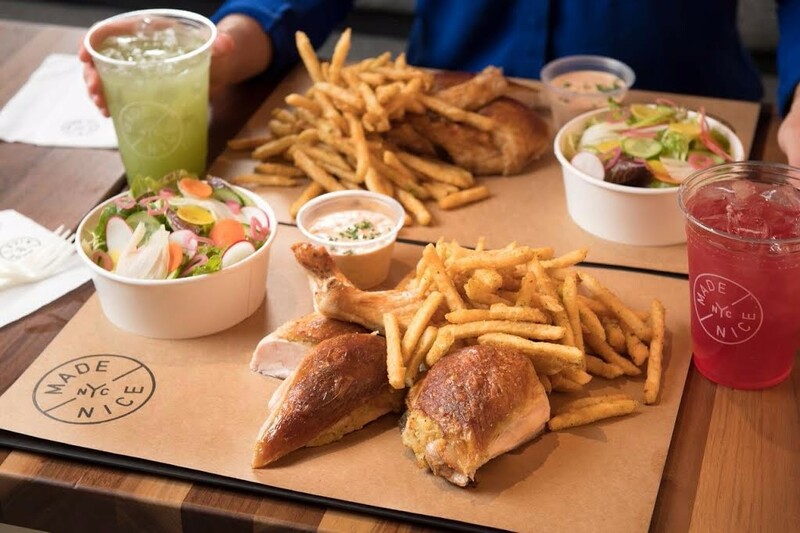 “Maybe they used to go to a salad bar for lunch, but now they know they can spend $10 to $15 and get a really good meal.” The group’s new fast casual restaurant Made Nice focuses on exactly that, with crowd-pleasing menu items like roast chicken and soft serve ice creams that convey the high level of cooking and service you’d find at sister restaurants Eleven Madison Park or The Nomad, but at a fraction of the price. The lesson is to stand out: figure out what diners love about your brand and zero in on it in different settings. Daily Provisions may be just three blocks away from its sister restaurant, Union Square Cafe, but Rockoff is quick to point out that “in New York terms, that’s a whole other neighborhood.” He and Adamson agree that adding fast casual restaurants to a fine dining portfolio doesn’t cannibalize business, but rather allows a brand to attract more regular customers. Figure out what diners love about your brand and zero in on it in different settings. 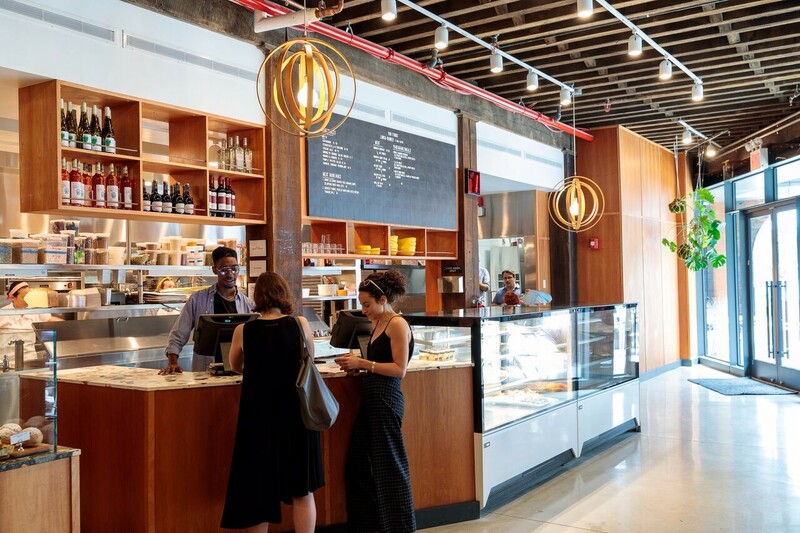 As rising housing costs push urban office workers’ homes farther from their jobs, neighborhoods like Union Square (where Daily Provisions is located) are less in need of boundary-pushing restaurants than dependable, quality spots to grab a sandwich. A counter service business that offers a taste of luxury at an affordable price is the ideal restaurant for the area, allowing a chef to serve the community while increasing their daily relevance. “You might go to Eleven Madison Park once a year, but you could visit Made Nice three or four times a week,” says Ginsberg. Adding fast casual restaurants to a fine dining portfolio doesn’t cannibalize business, but rather allows a brand to attract more regular customers.